Paleontologists have found rare winged-reptile fossils, and 3D technology has helped them to study the pterosaur in “exquisite” detail. The site was discovered by paleontologists while they were looking for fossil tracks in the rugged desert of northeastern Utah, not far from the dinosaur national monument, according to Brooks Britt, a professor at Brigham Young University (BYU). While pulling themselves over a sandstone ledge adjacent to a precarious cliff the researchers saw delicate bones in the rock at the site known as Saints and Sinners, which was excavated over a period of several years, according to Britt who’s studying the fossils. The bones belong to the pterosaur, or winged reptile, which is named Caelestiventus hanseni, according to Britt. This particular species isn’t a bird or a dinosaur but it has wings that are 5 feet long, Britt said. 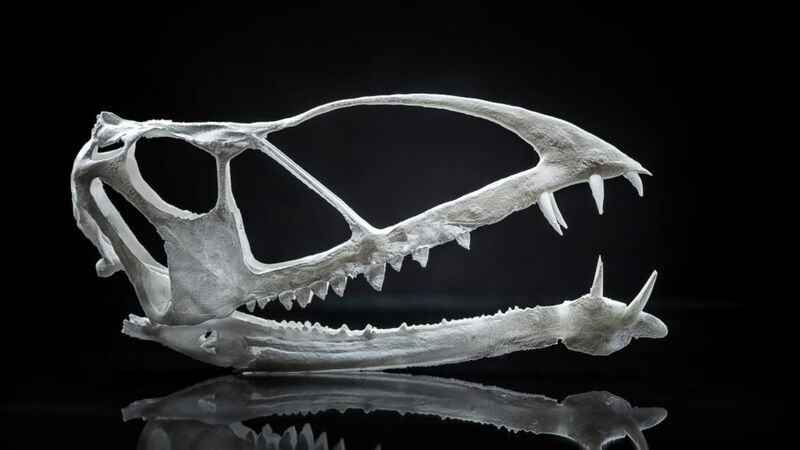 “The fossil bones are so abundant that we cut out blocks of the sandstone weighing over 100 kilos with concrete-cutting chainsaws,” Britt said. The group worried that they could break the bones, so they used an ultra-high resolution CT scanner to scan the bones. With the modern technology of 3D, they got the shape of this pterosaur without having to disturb it. The scanner used by the team works like those in a hospital but with higher energy X-rays and greater resolution, Britt explained. He went on saying that most scans consist of thousands of digital slices. The dramatic improvement of the 3D printer has given them the ability to print “exquisite details,” according to Britt. “Its three-dimensional bone preservation allows new insights into the structure of early pterosaurs not previously possible as most other finds are severely flattened/crushed,” he added. The pterosaur fossil dates “back more than 200 million years,” according to a statement from BYU. Caelestiventus is among the earliest known pterosaurs and shows even early forms were taxonomically and ecologically diverse, and it predates all known desert-dwelling pterosaurs by 65 million years, according to Britt. It is closely related to the Dimorphodon macronyx from Lower Jurassic strata of Britain, Britt said. The bones are now in the Museum of Paleontology at Brigham Young University, according to Britt, where his team is studying it in great detail.